Great Hockham Primary School is a small, village school, set in between Thetford and Watton. The school has 4 classes catering for all children, whatever their needs, abilities and background, aged from 3 to 11. The local community are very much involved with the school, supporting us in many ways. We are proud to be a member of the Sapientia Education Trust. We have an active and successful Friends of the School Association, which organises a variety of social and fund raising events during the year. We never refuse an offer of help and are most grateful for all the practical help we receive from parents. We are proud to work towards our school vision of Creative, Caring, Daring. Please take time to look at our vision statement. We welcome contributions from people who are linked to our school. These are displayed in our entrance hall. Our parent survey results are highly positive! We are very appreciative of your responses. Please click here to view the results. We have a school Facebook page which can be found here. Many thanks for taking the time to look through our website. Every document on this website is available as a hard copy, please contact the school if you need further information. 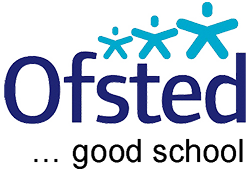 Please use the OFSTED Parentview website to give your views about the school. Copyright © 2015 Great Hockham Primary School. All Rights Reserved.